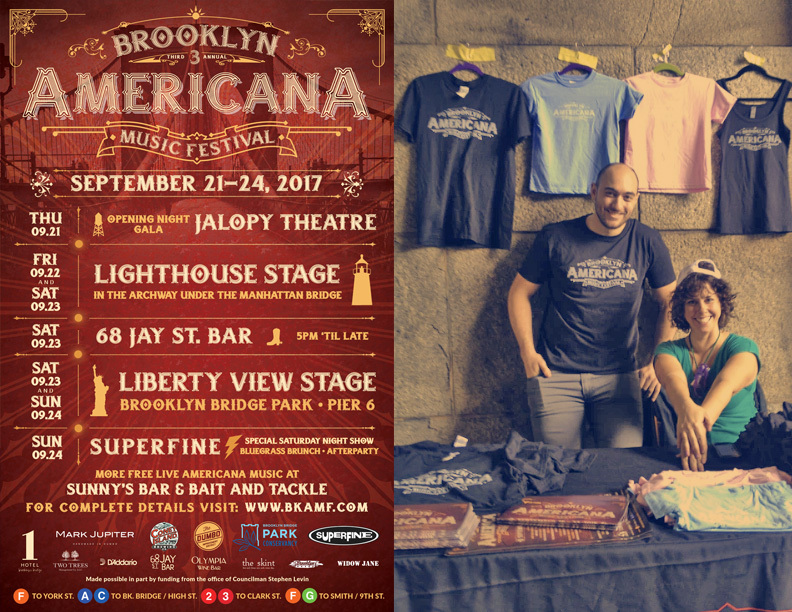 I am thrilled to act as the Artistic Director for the Brooklyn Americana Music Festival for 4 years running. Together with curator Jan Bell, we unite a unique production over a 3 day period every September. 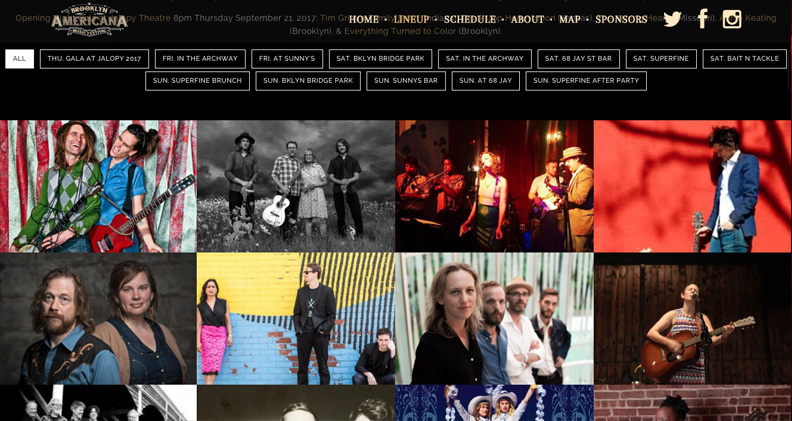 More than 60 shows are performed on multiple stages in and around DUMBO & Red Hook by Folk, Country, Bluegrass and Americana Americana artists from all around the United States and beyond. 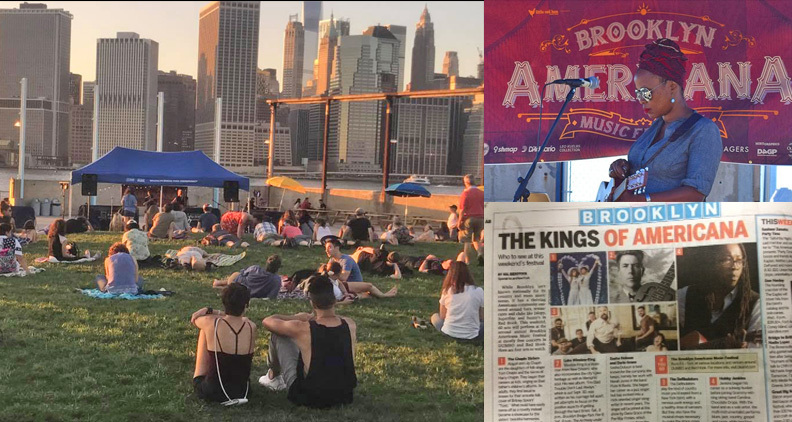 I am responsible for all aspects of the festivals branding. From the websites design and backend maintenance to the multiple banner ads. From the original logo design to the t-shirts and posters it appears on, I handle all of it.